Takanini Feeds Ltd produces the ever popular and unique Chook Chow, as well as Layer Pellets – the more traditional pellet feed. Both feeds contain a range of natural and healthy grains that are sourced from within New Zealand where possible, and have been formulated to meet the health, growth and production needs of laying hens and pullets – and they contain no added hormones or antibiotics. Being manufactured on demand in batches at the Takanini and Mangatawhiri plants, both Chook Chow and Layer Pellets are always the freshest chook food available – there’s no stockpiling here! Chook Chow is a highly palatable molassed meal type feed that includes a wholesome and visible blend of grains including maize, wheat and barley as well as soya meal for added protein. Oven baked oyster grit is included in the formulation, to enhance egg shell quality, as is a full vitamin and trace mineral premix – Chook Chow is a high quality, complete and balanced vegetarian meal that your hens will LOVE! 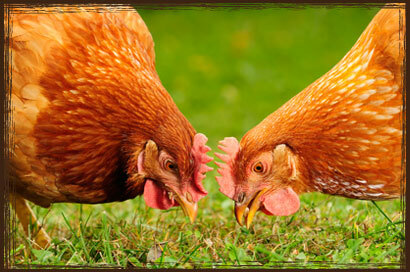 It is the ideal feed for laying hens and pullets. Layer Pellets are a convenient and easy to use pellet feed, designed for laying hens and pullets, which will enjoy eating it. The pellets contain a wide variety of grains, meals and fibre sources, with vitamins and minerals included in the mix. If you choose to feed your chooks from a poultry feeder, Layer Pellets are the perfect choice as they will free-flow through, and not clog up the feeder. Takanini Feeds also supplies wheat, and whole or kibbled maize. As well as being a source of protein, these grains will help to keep hens active, and will encourage the hen’s natural scratching behaviour, although they should be fed in restricted quantities if fed alongside a complete feed such as Chook Chow or Layer Pellets. A highly palatable molassed meal containing crushed grains, soya meal and grit, for laying hens and pullets. An easy to feed, nutritionally balanced pellet, suitable for laying hens and pullets.